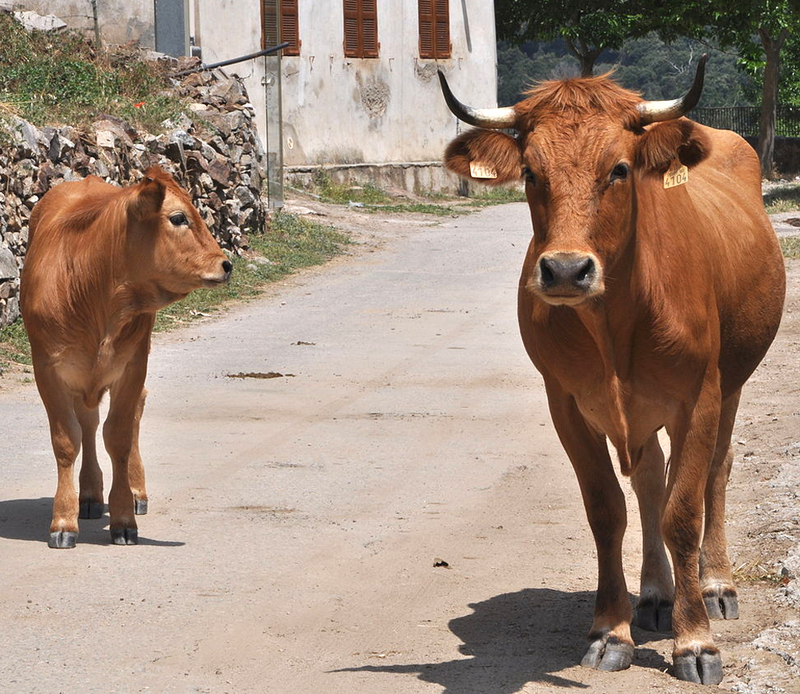 Corsican cattle are smaller sized animals. They have a tan colored coat with shades ranging from blond to dark wheat and gray, and their belly is often lighter. Both bulls and cows usually have horns, and their horns are lyre-shaped and brought up.